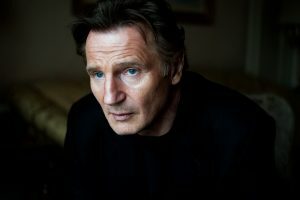 Ballyglunin Community Development Charity is delighted to announce that Liam Neeson has formally pledged his support to the campaign to save The Quiet Man train station. “I have been a professional actor for over 40 years, and during that time I have had the great fortune to have made over 70 films with many world renowned directors. Of all those directors, I would say 60 of them have said that John Ford’s, The Quiet Man, is in their top 5 list of favorite and influential films. The movie has become part of Irish folklore and is justifiably and rightly called a Classic film. The Ballyglunin train station in Co. Galway played a significant part in that film. The station is now showing its age, and requires urgent repair. We must save this iconic building, otherwise it will be lost. This entry was posted in Uncategorized by Ballyglunin Train Station. Bookmark the permalink.